A thymectomy is most commonly used to remove a thymus gland that has been infected by tumors, but it's also a widely used surgical procedure to help out patients suffering from the rare neurologic disease, myasthenia gravis. 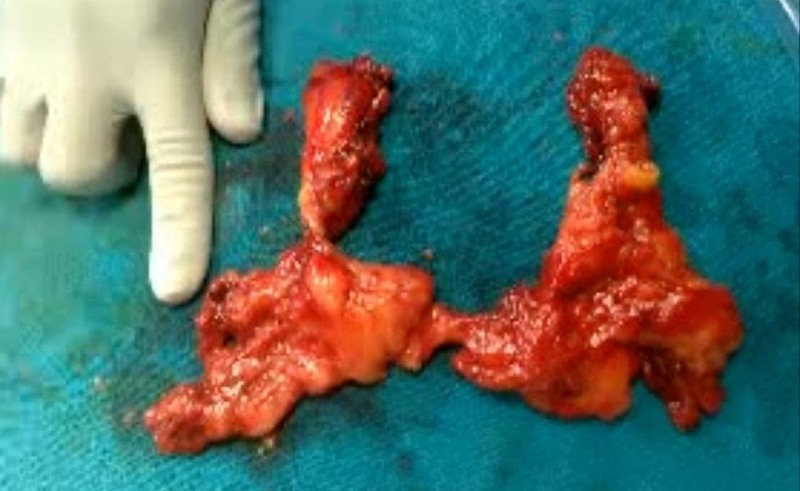 This surgery video will demonstrate and outline the steps needed in the surgery room to successfully remove the thymus glands using a VATS thymectomy. VATS stands for video-assisted thoracoscopic surgery, and is used here in this medical procedure to completely remove the thymus. In the video above, Dr. Arun Prasad MS, FRCS at the Apollo Hospital in New Delhi, India shows you the step-by-step anatomical approach for doing the thoracoscopic surgery from the right side in a patient with myasthenia gravis.